Competitions are good source of Innovation. I am currently involved with organization of an Open Data Competition in Sweden. It is eGovlab competition where OKFN Sweden supports. 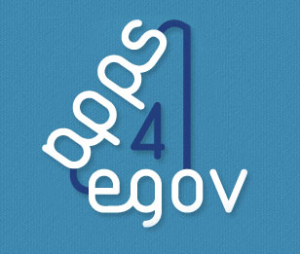 eGovlab’s “Apps4eGov Innovation Challenge” with the aim to innovate public service with use of Open Data. The contest is open for all students. Three finalists of the competition will be selected and will be offered an internship at the eGovlab in order to develop the app with the guidance of experienced developers and the institutional support of the lab. The apps entering the contest should have a meaningful impact on society or improve public service delivery. Solutions can span the spectrum from concept ideation, prototypes and working demos, to advanced applications ready for use. All solutions should be related to Open Data. The context: The apps entering the contest will be designed to support individuals or groups of individuals whenever they face a disruptive event in their lives – i.e. I lost my job, I am pregnant, I am divorcing, etc. Starting from that point, contestant will need to conceptualize an app that gathers information (public data or information) and streamline the services provided by some (or all) relevant public agencies in relation to such life-changing situations. “This is an opportunity for young innovators and entrepreneurs to apply their knowledge, ingenuity, and creativity to develop an app concept that focuses on improving the life of the community by providing solutions to disruptive life events“, says Gudrun Paulsdottir, Project Manager at eGovlab. Contestants are required to compete with ideas and functional web applications, widgets, mashups, mobile apps and other digital utilities that make use of public data, which runs on any platform. The second phase of the Contest begins at 10:00 a.m. CET on May 31st, 2014 and closes at 17:00 p.m. CET on June30th, 2014, (the “Selection Period”). “We don’t care where contestants come from, as long as they are at least 16 years of age at the time of entry. What matters is that the idea is anchored on a local level: it must be implementable in Sweden”, Gudrun Paulsdottir explains.